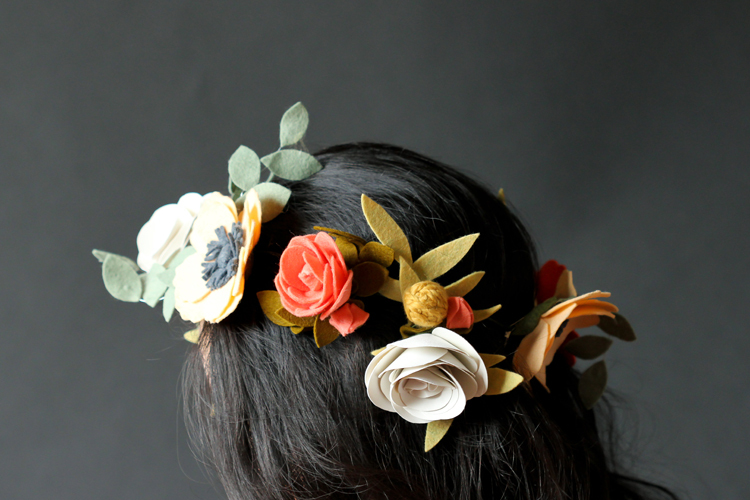 Today, I’m sharing all the details from my felt flower crown from yesterday! I mostly used tutorials from Something Turquoise who was my original inspiration for this project. I just love how pretty and artistic her flowers came out and wanted to make some too! 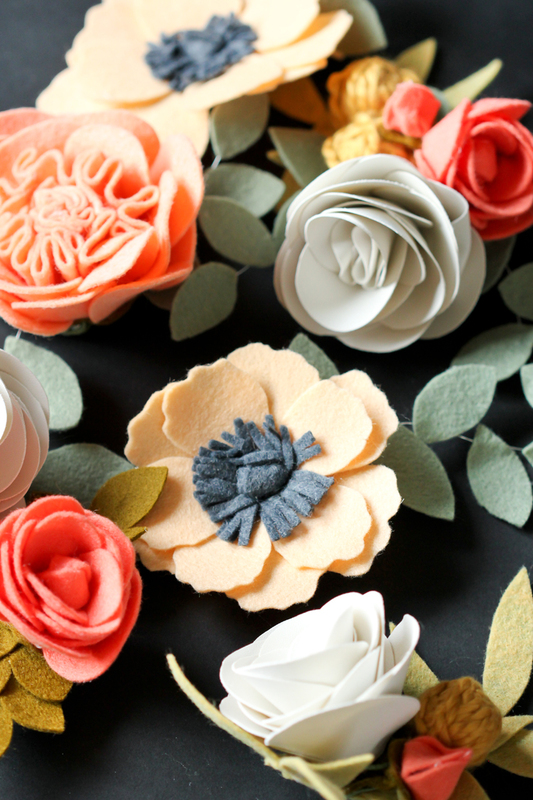 Felt flower making can be admittedly a pretty time consuming craft, but I also think it’s worth it. The more time and attention I took, and the more details I tried to add to the flowers, the more satisfied I was with the outcome. So my tip is to not cut corners! You will be a lot happier with your flowers if you take your time and pace yourself. 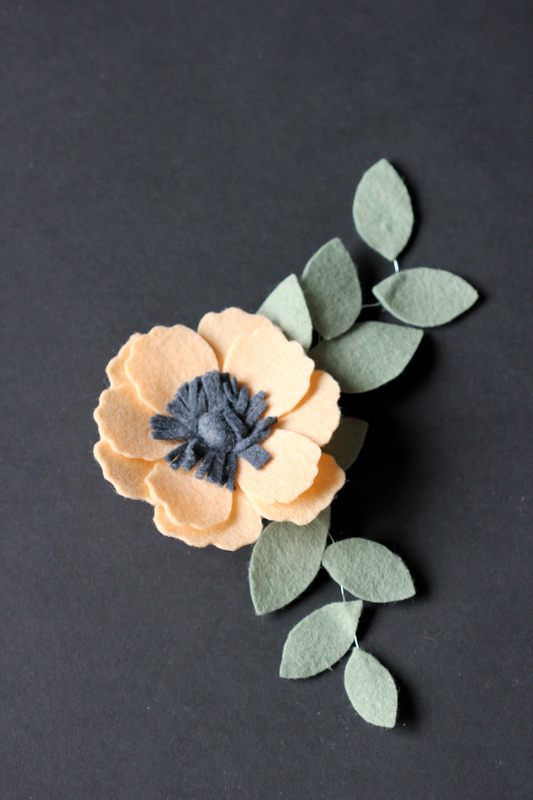 Tutorial: Felt Anemone tutorial from Something Turqouise (flower), Eucalyptus Leaves tutorial from Something Turquoise (leaves). 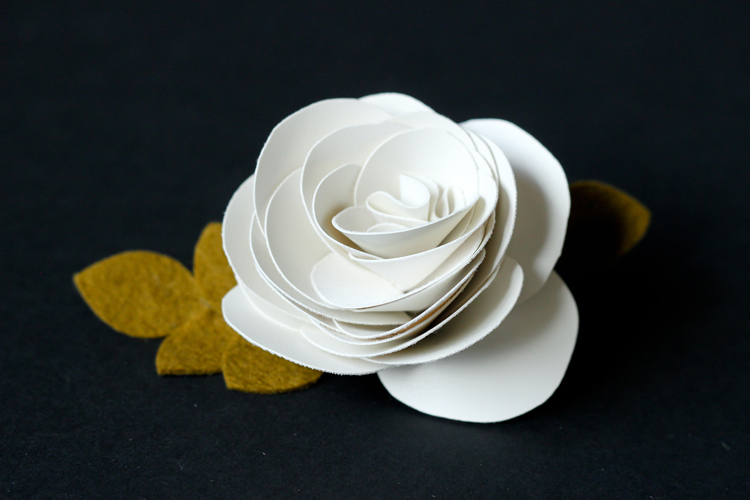 Changes to the tutorial: Instead of keeping the ends of the petals smooth, I cut them with an irregular wavy pattern. I didn’t have felt balls for the centers, so I tied a 3/8″ x 3 ” strip of charcoal felt into a knot and used the knot as the “ball and stem” to build the flower around. 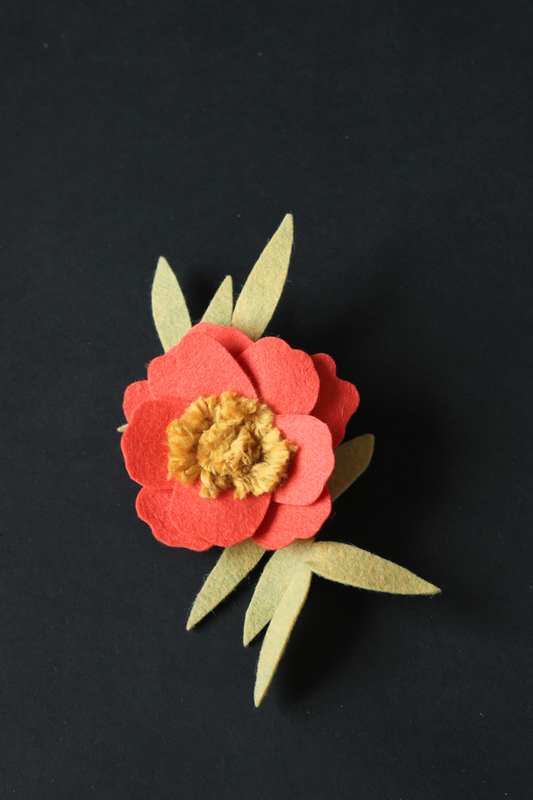 Felt: Georgia Peach (petals), Smoke (center), Loden (leaves). 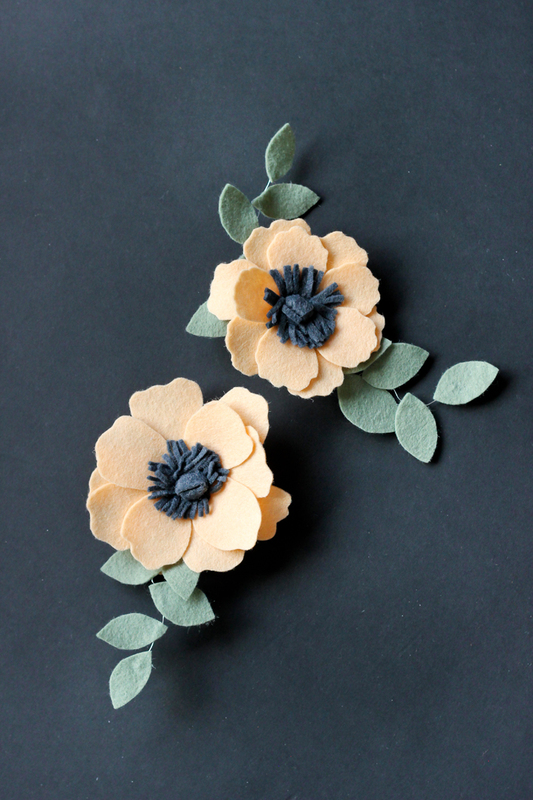 *I would say I could get about 2-3 anemones out of one sheet of felt, and and about 4-5 leaf stems out of one sheet. Tutorial: See my Felt and Yarn Anenome tutorial (flower). It is similar to the Peach Anemone but with changes to the center and petals. 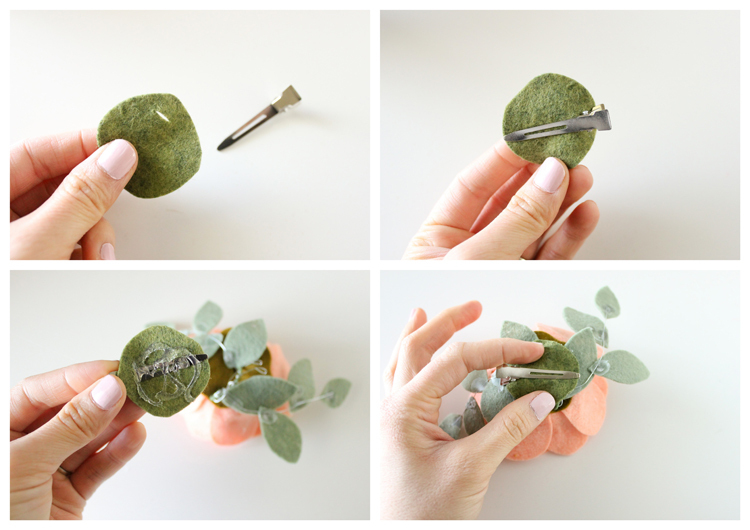 Eucalyptus Leaves tutorial from Something Turquoise (leaves). Felt and Yarn: Shrimp (petals)…I was notified by the seller who updated her inventory to let me know that it has been replaced by a very similar color listed as “coral”, Lemon Lime Twist (leaves), Nature’s Choice Organic Cotton Yarn in mustard (center). *I would say I could get 2 anemone flowers out of one sheet of all wool felt, and 4-5 leaf stems from one wool blend sheet (the 100% wool sheets are a little smaller than the wool blends). PINK CABBAGE ROSE Tutorial: Felt Cabbage Rose Tutorial from Something Turquoise (flower), Eucalyptus Leaves tutorial from Something Turquoise (leaves). 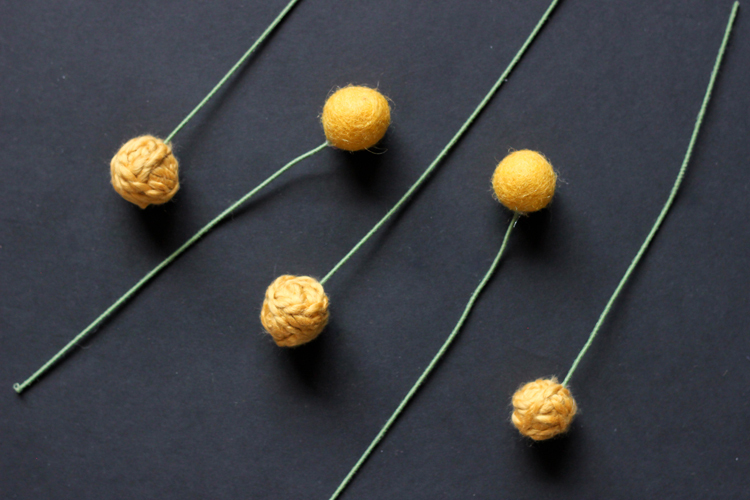 Felt: Melon (flower), Loden (leaves). *One cabbage rose takes almost a full sheet of felt. PINK ROSE Tutorial: Rose video tutorial (flower), Ranunculus tutorial from Something Turquoise (bud tutorial), Eucalyptus Leaves tutorial from Something Turquoise (leaves). 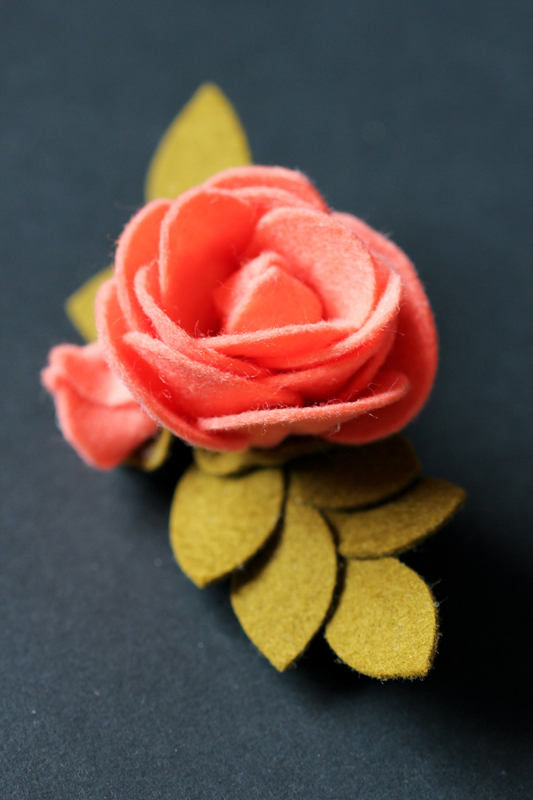 Changes to tutorial: I used a hot glue gun for the rose, instead of fabric glue. I nested the leaves closer together on the wire for the leaf stems. 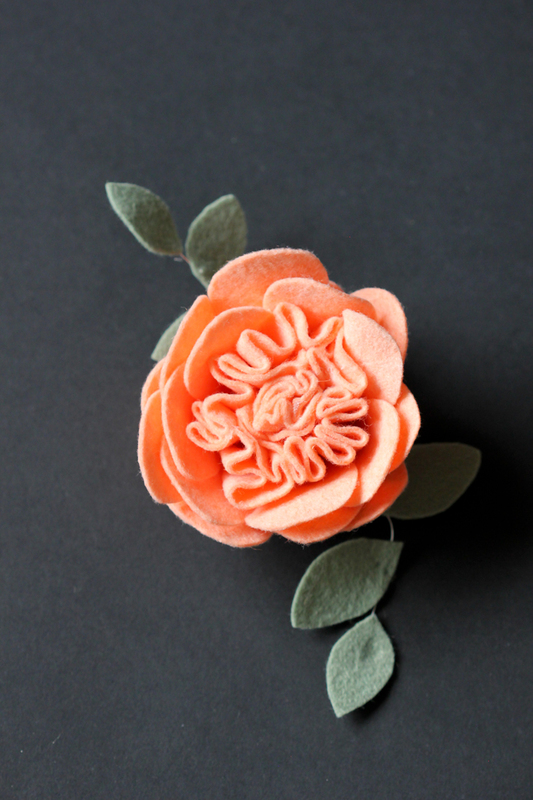 Felt: Pink Grapefruit (petals), Raw Umber(leaves). *I would say I could get about 2-3 roses out of one sheet of felt, depending on how big I decided to make my roses and whether I was using the slightly smaller all wool sheets or the 8.5 x 11 inch sized wool blend sheets. 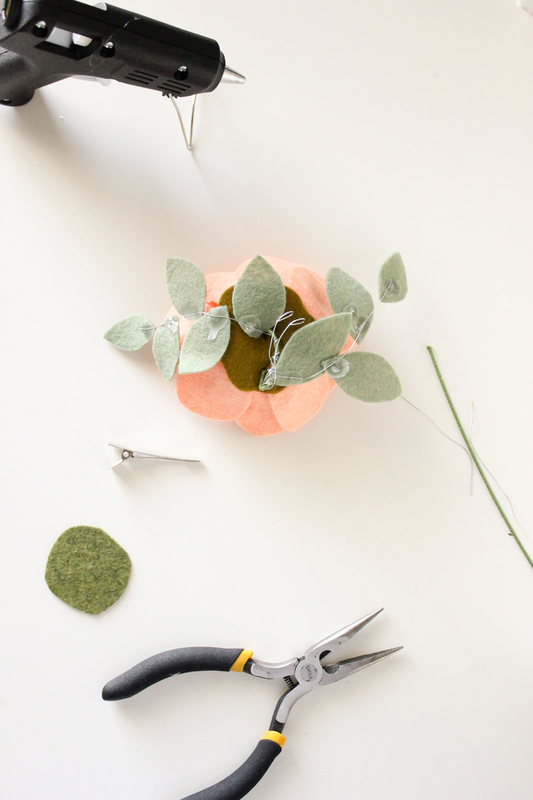 WHITE RANUNCULUS Tutorial: Ranunculus tutorial from Something Turquoise, Eucalyptus Leaves tutorial from Something Turquoise (leaves). 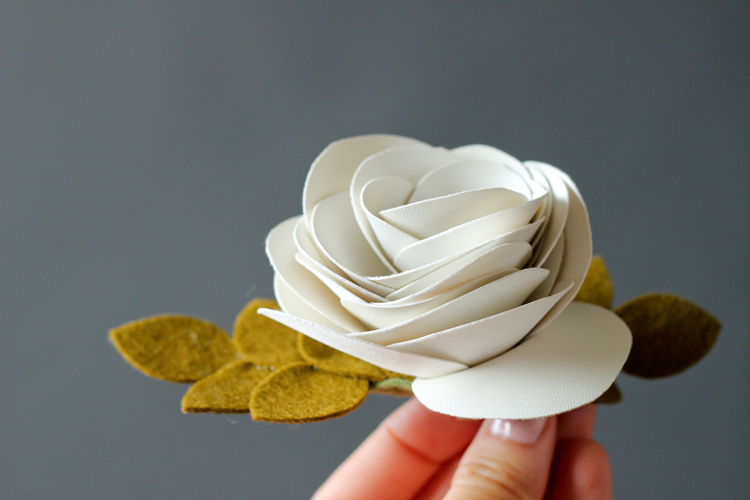 Changes to the tutorials: I used white vegan leather for the ranunculus petals instead of felt and I used a lot more petals than the felt version. I nested the leaves closer together on the wire for the leaf stems. 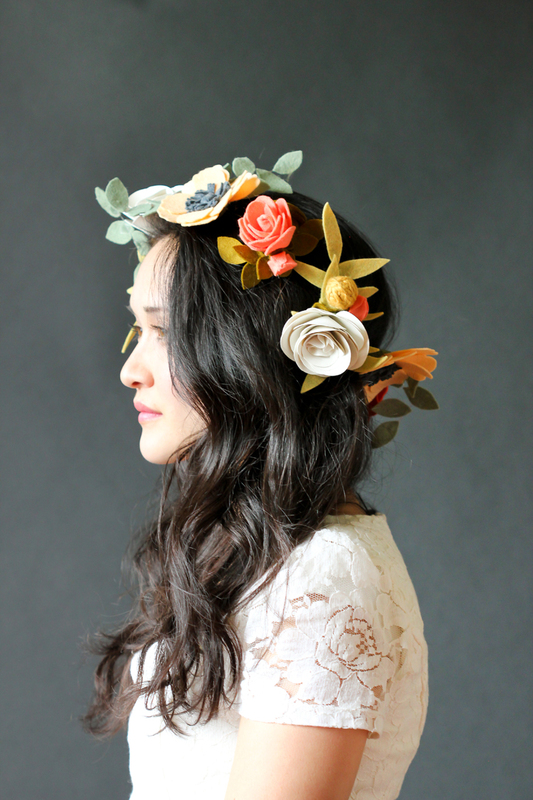 Felt and materials: Ivory vegan leather from Girl Charlee (petals), Raw Umber(leaves). 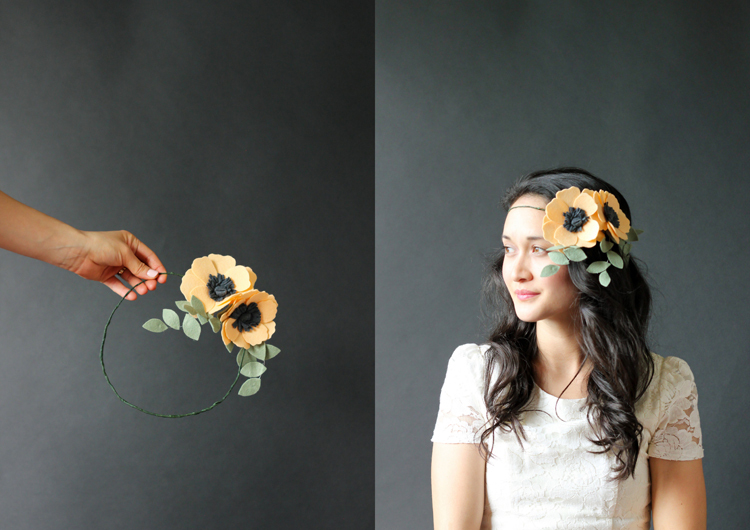 * I probably used a 1/4 of a yard worth of vegan leather scraps to make all three ranunculus flowers. After making some single flowers, I made a couple of bundles of flowers. 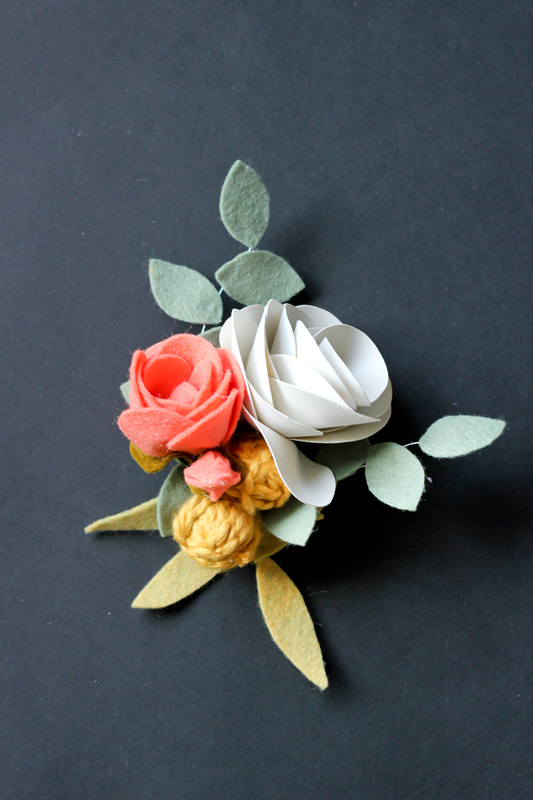 This one consists of a pink rose, a white ranunculus, varying eucalyptus leaves, and some billy balls (Tutorial HERE). Once I was done making flowers, I added clips to all the backs. 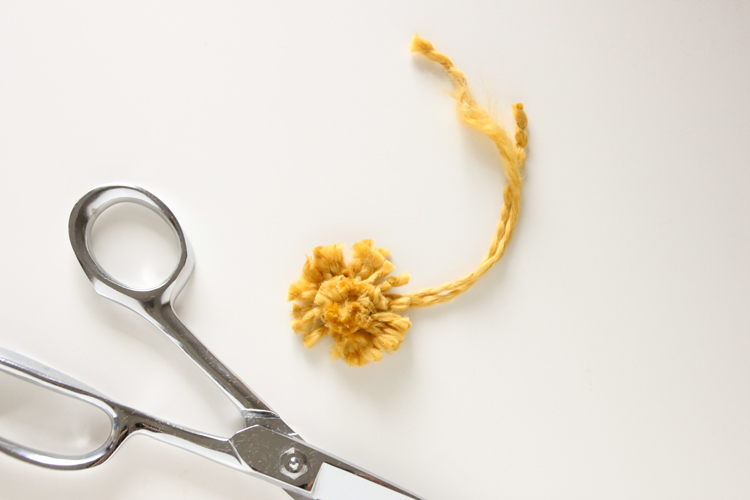 FLOWER CLIP TUTORIAL 1. 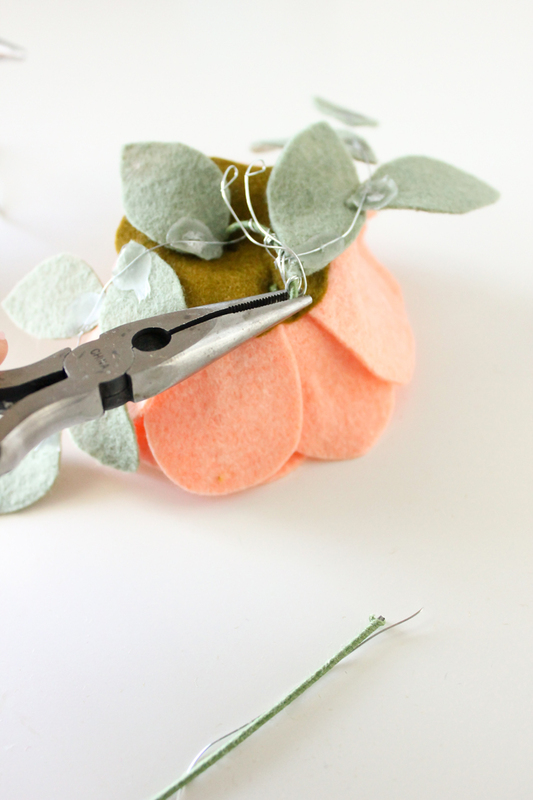 I cut the wires and stems down to about 1-2 inches from the base of the flower, and then curled the sharp ends under and toward the flower with pliers. 2. 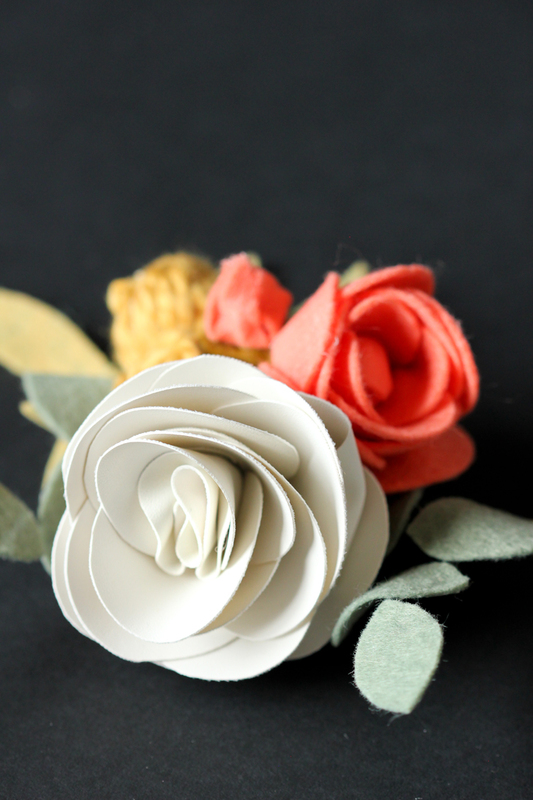 I cut small circular pieces of felt that could be easily concealed behind the flower. 3. I cut a small slit close to one side and slid the alligator clip into the slit (I get my clips from Sally Hansen’s in a 100 piece box). 4. 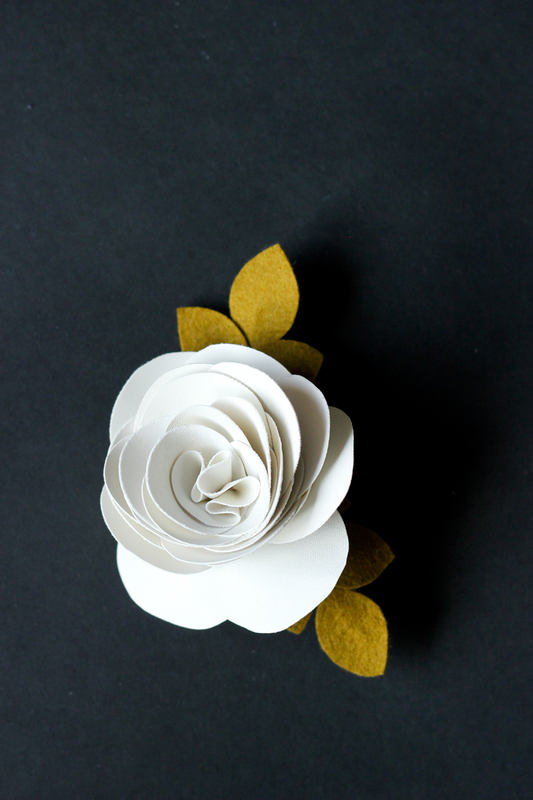 I added glue to the back side of the felt and clip, then pressed it backside down onto the back of the flower. 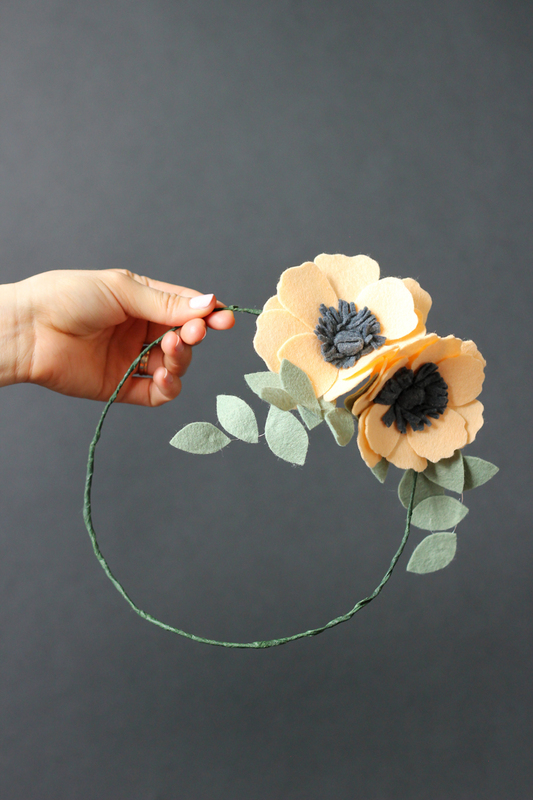 The felt circle conceals the messy backside/underside of the flower, while making the clip a little more securely attached. 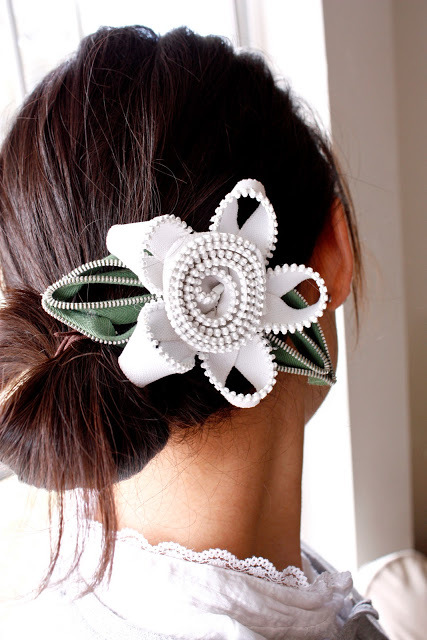 Clip into hair or onto a wire crown. I made this wire crown with some 16 gauge wire pieces bent into a circle fit to my head. 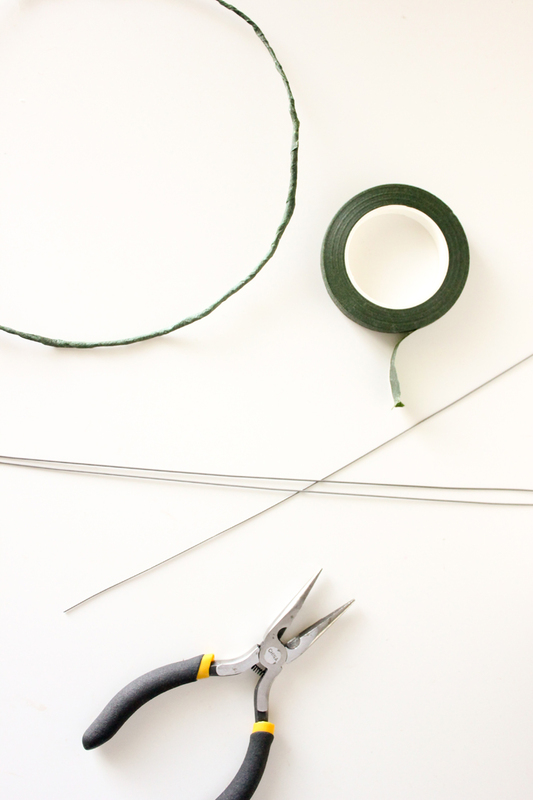 I overlapped the ends over each other and wrapped them securely while keeping the ends as flat and tight as possible. Then I simply wrapped it tightly with floral tape. Easy peasy. Delia! It was really fun to meet you today! I am super impressed with your blog! Beautiful style and I love your pictures :0 ) I feel the need to go be creative myself now. 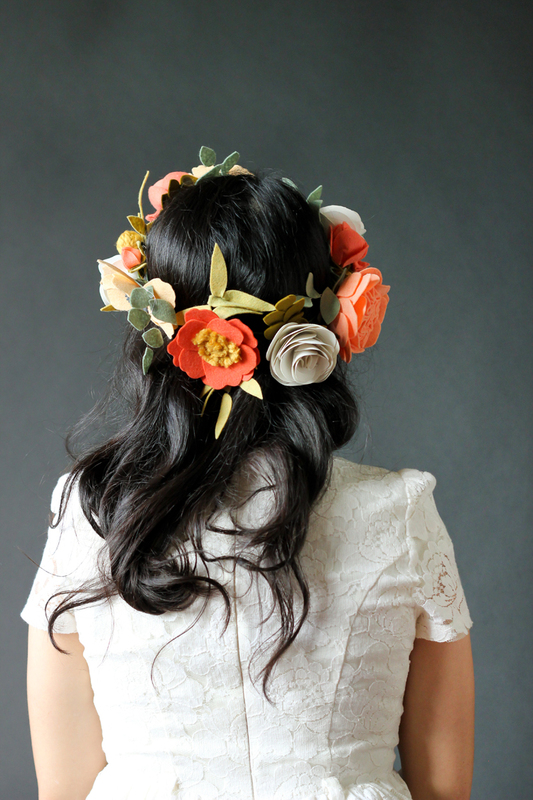 These flower crowns would make great photo props for me! Thank you Danielle! It was so fun meeting you as well. Hopefully we’ll get to bump into each other more! This is just too pretty. 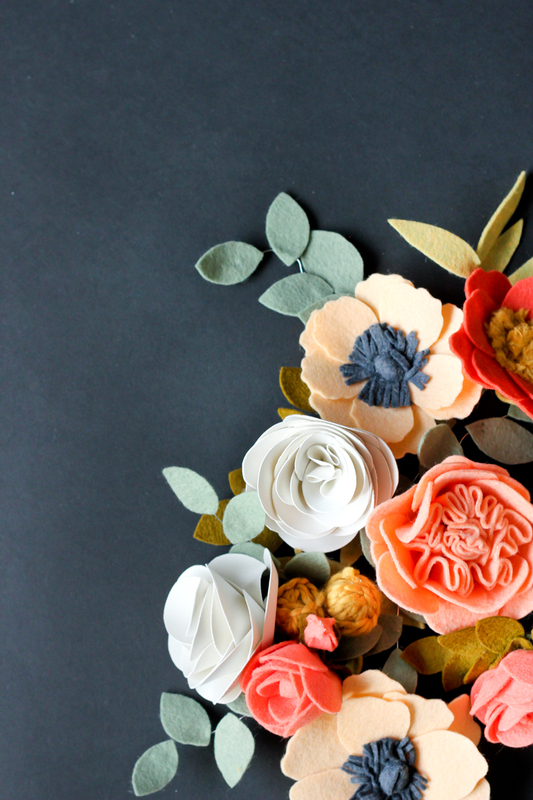 =) Were you able to get more than one flower from each sheet of felt? Thanks Charity! Very good question! 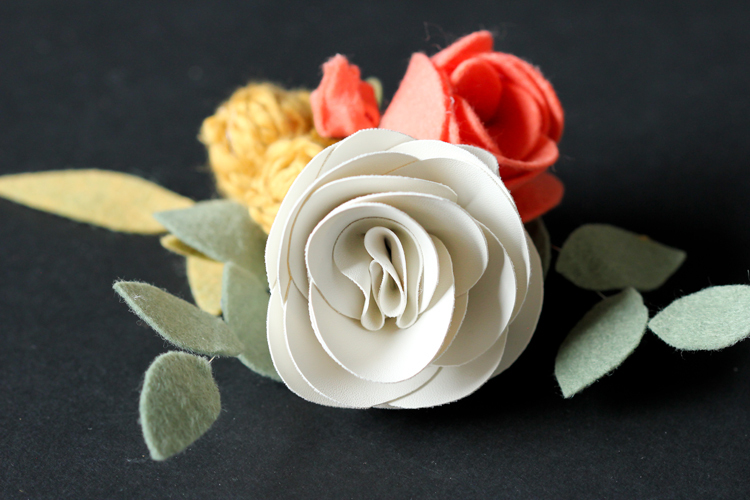 I should add those details to the post, but to answer here as well… For the cabbage rose, it took almost a whole sheet of felt. 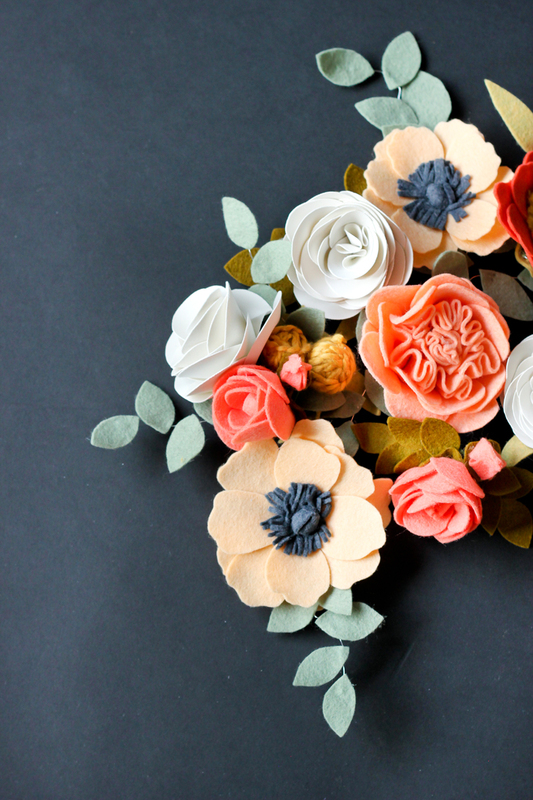 I could get about two roses out of one felt sheet, and the anemones…probably three. I hope that helps! Thank you Sara! I hand cut all the flowers. On the one hand, I liked the control it gave me to make each petal unique, but on the other, I would stop and wish for a cutting machine every now and then. ;) It was pretty time consuming. I think, if you are planning on making a lot of them, a cutting machine would be totally worth it. Hope that helps! These are stunning Delia. Absolutely gorgeous. Magazine worthy!…Well, everything on your site is that way :) Love it. This is so beautiful! It’s going straight to my bookmarks folder for future pampering for my little girl! OH my goodness, Delia. Hi *internet introduction* My name is Stacie. I just love your work and am SO inspired by it. I found your stuff on pinterest and have just died. Yours are some of the best felt flowers I’ve seen out there. Thank you for such a simple and sweet tutorial. I LOVE it. I am about to sit down and do my own! I’m bookmarking your site! I love, love, love it! So… Your not selling these for the lazy gal? I’m so sorry. I’m not. I wish I had the time to do that though! I have to say I love these, you have inspired me to be creative, and I cannot wait to check out the rest of your blog. I bought the felt from etsy, thanks for posting the details. 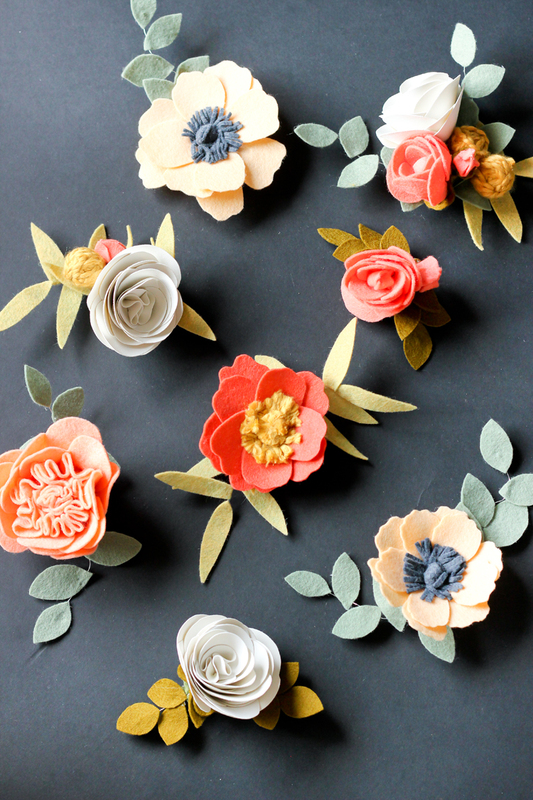 Anyways I’m going to use your tutorial to create felt flowers for my daughters first birthday. Nothing insane just some beautiful flowers here and there. I want to make a corner banner or creeping flower border any recommendations? 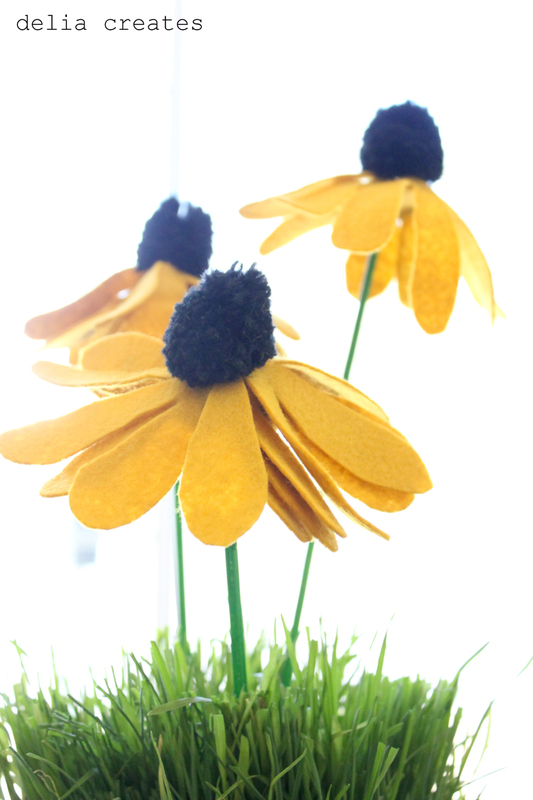 I just love these felt flowers! Thank you so much for posting such wonderful tutorials. I can’t get any of the etsy links to work for the felt. Is there a specific shop you used? Thank you Brittany! I’m so sorry the links aren’t working. I’ll look into that. I used 100% wool felt and some wool blend felts from Felt on the Fly and SweetEmmaJean. I loved their felts so much I actually reordered from them for another project this year. I hope that helps! Where do you purchase you felt from?